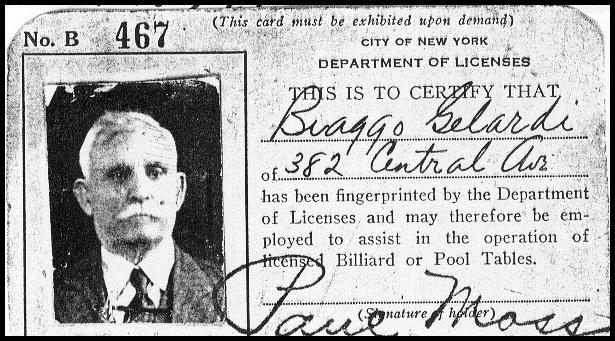 Biagio5 Gelardi (Giuseppe Maria4 Gerardi, Giuseppe3, Giuseppe2, Francesco1) was born 03 Feb 1865 in Calatafimi, Sicily, and died 10 Sep 1955 in Brooklyn, Kings, New York. 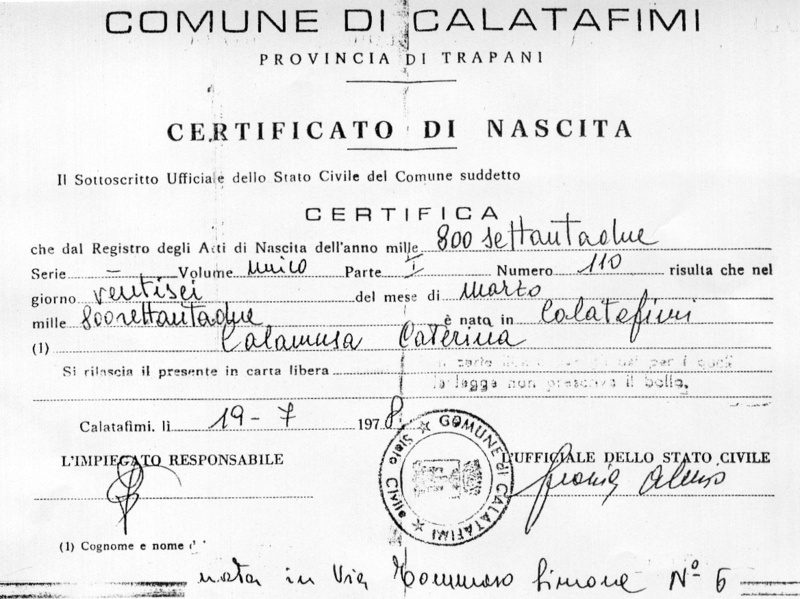 He married Caterina Calamusa 27 Nov 1891 in Calatafimi, Sicily, daughter of Giuseppe Calamusa and Giacoma Bruccoleri. 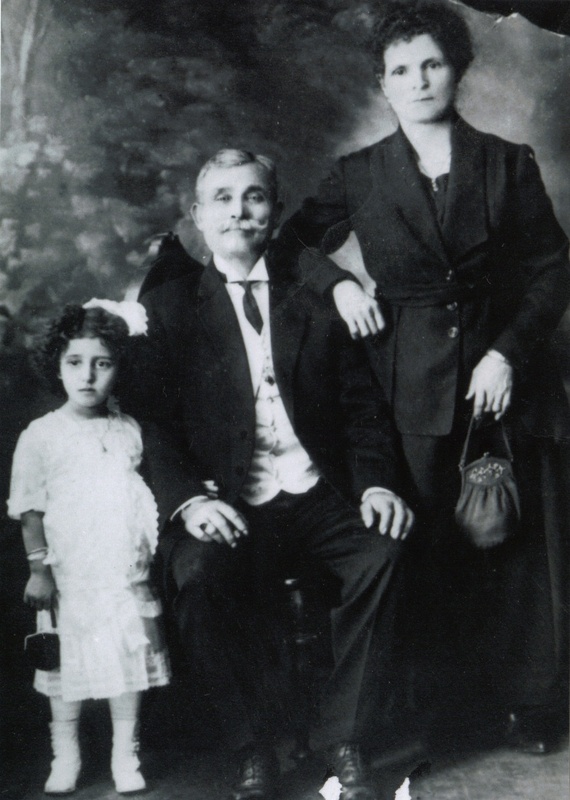 She was born 26 Mar 1872 in Calatafimi, Sicily, and died 26 Nov 1940 in Brooklyn, Kings County, New York . 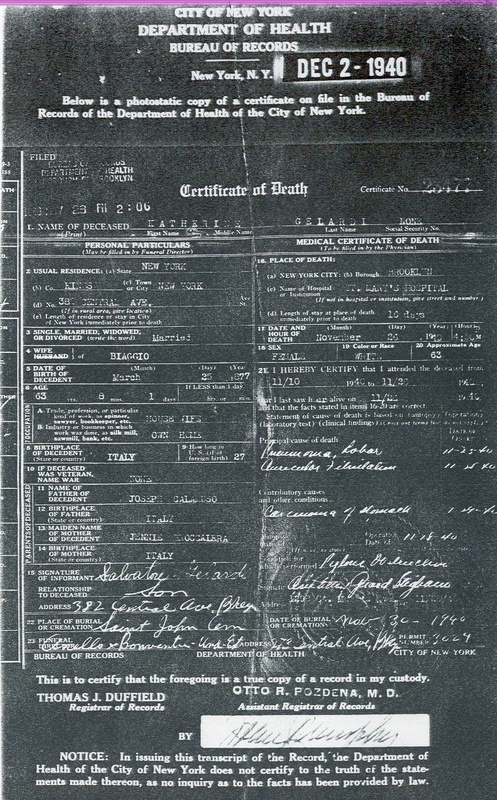 Copy of funeral card. 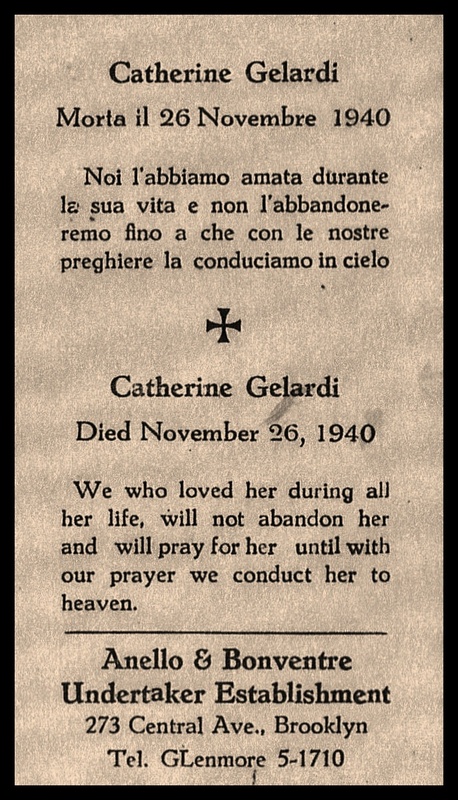 Paola Gerardi, born 26 Sep 1892 in Calatafimi, Sicily; died 10 May 1960 in Richmond, Virginia. 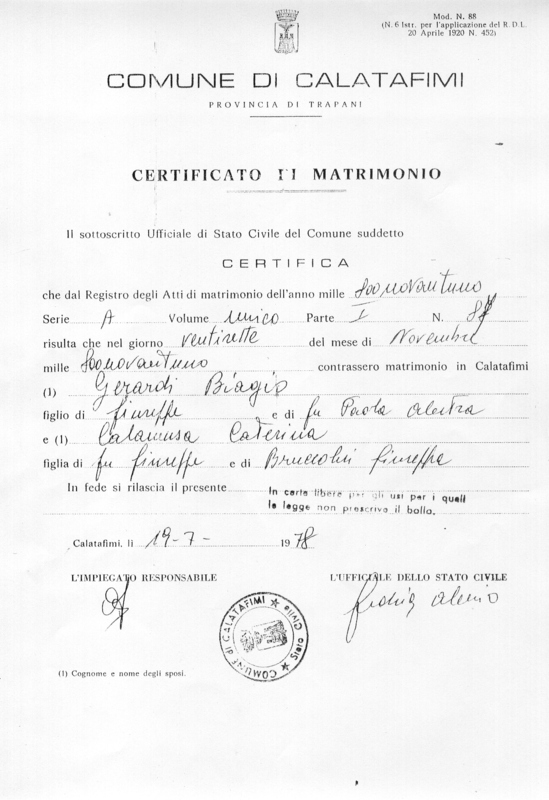 Ship records indicate Paola came to America with her first husband, Angelo Castiglione, in 1916. 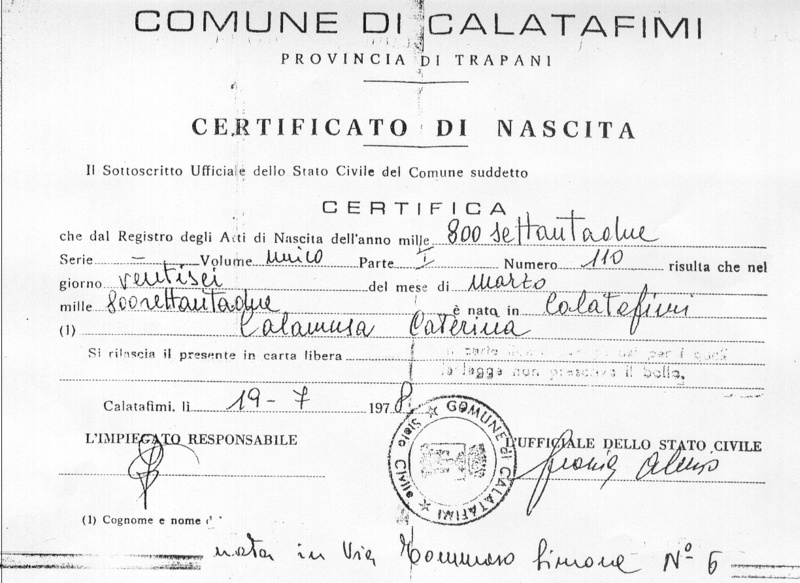 Giacomina Gerardi, born 03 Mar 1897 in Calatafimi, Sicily; died 20 Oct 1989 in Brooklyn, Kings County, New York. 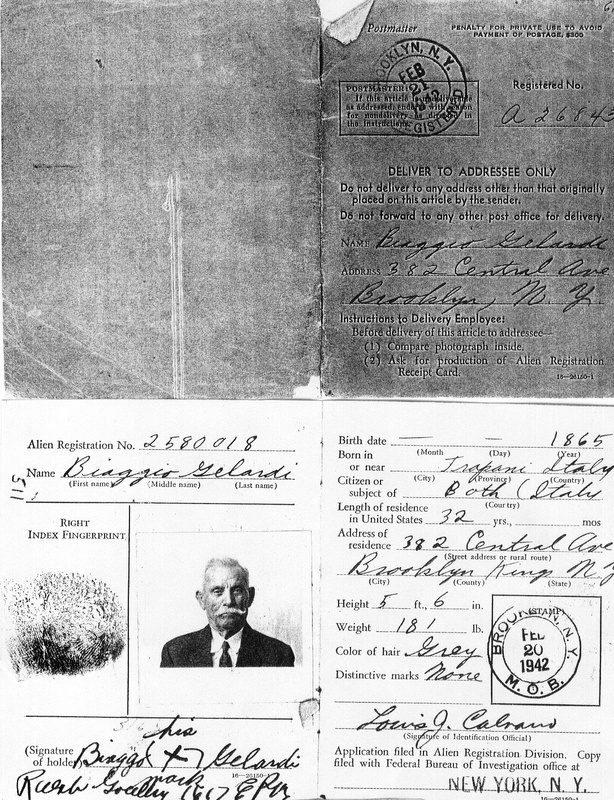 Salvatore Gelardi, born 05 Apr 1904 in Calatafimi, Sicily; died 30 Aug 1944 in Brooklyn, Kings County, New York. 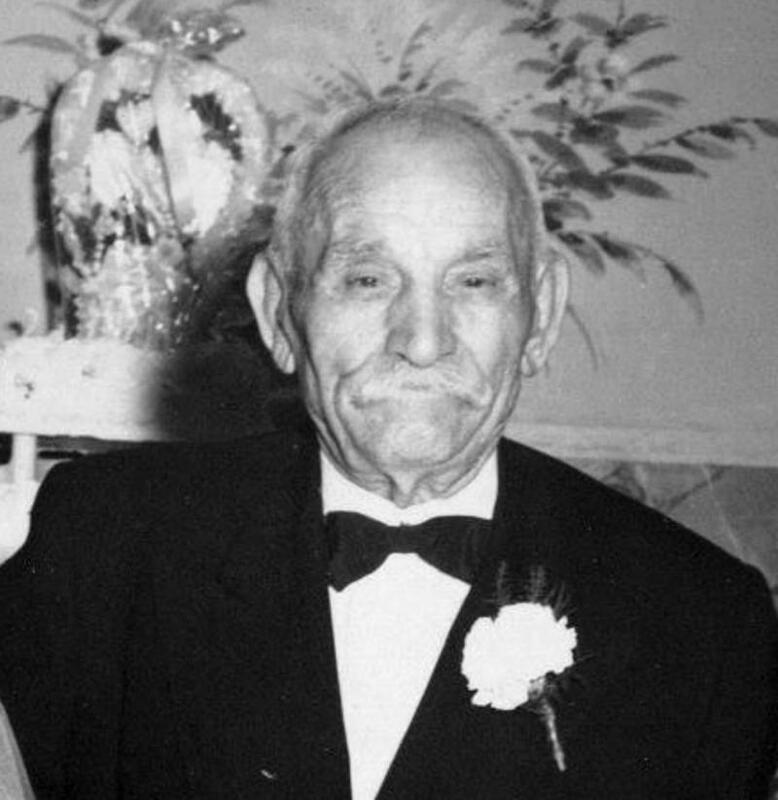 Giuseppe Gerardi, born 26 Nov 1906 in Calatafimi, Sicily; died 21 May 1959 in Brooklyn, Kings County, New York. 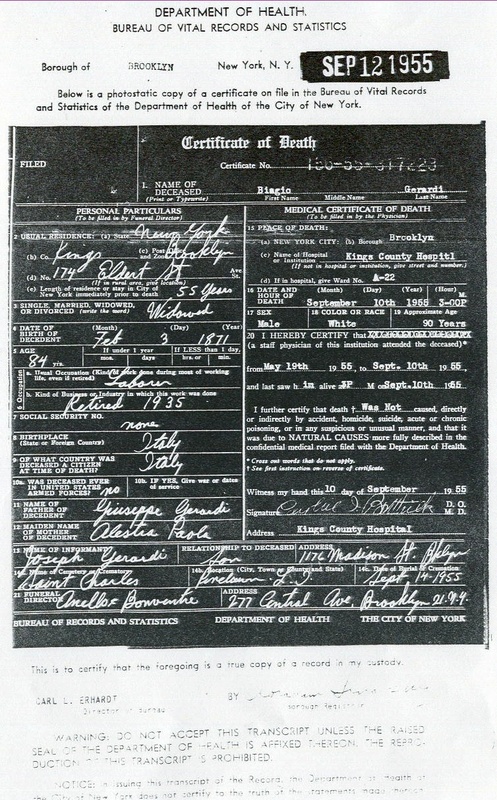 Vita "Rita" Gerardi, born 29 Aug 1916 in Brooklyn, Kings County, New York; died 28 May 2004 in Floral Park, Nassau, New York. 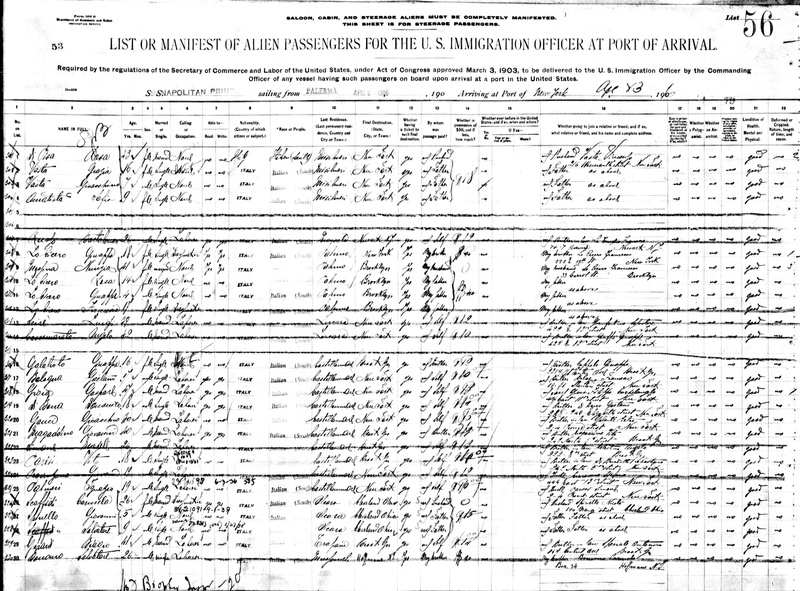 *In the 1930 Census Records, Vita is listed as "Freda". 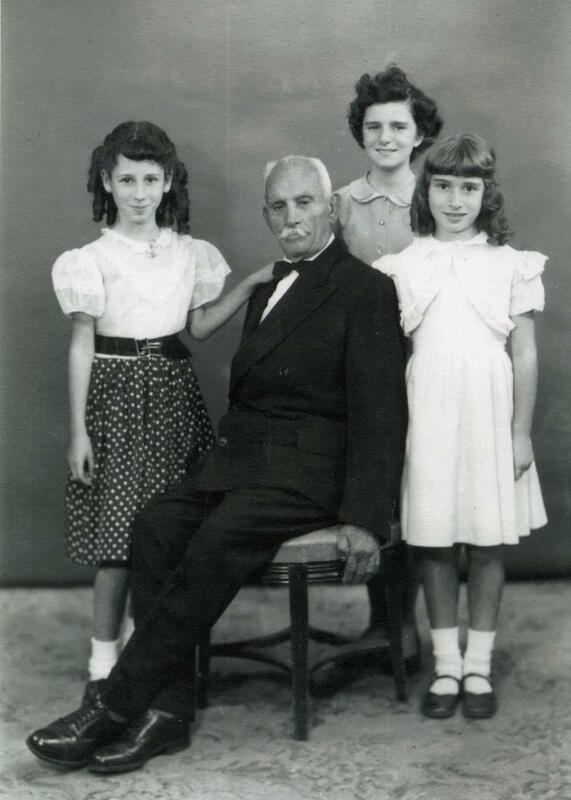 Biagio with his granddaughters: Rosemary, Kitty and Margaret.